Blog Superionic Batteries – Are We There Yet? 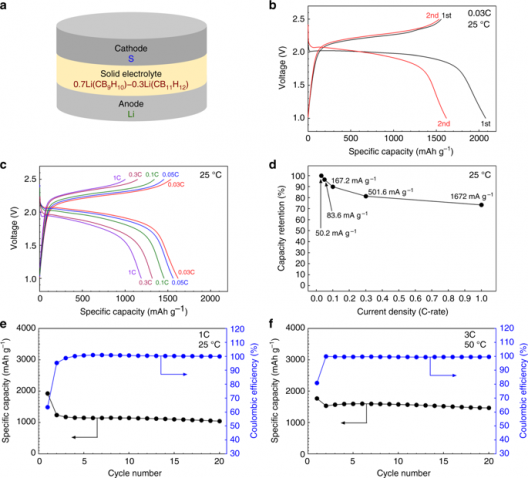 Tohoku University, near the northern Japanese city of Sendai, finds, in a recent paper, “…The development of complex hydride solid electrolytes that exhibit high ionic conductivity at room temperature will be a revolutionary breakthrough for all-solid-state batteries employing a lithium metal anode.” Researchers at the University lists the potential energy density for a battery using these so-called “superionic” materials as greater than 2,500 Watt-hours per kilogram “at a high current density of 5,016 miliAmps per gram. This energy density would result in the fabled 10X battery – ten times the energy density of a conventional lithium-ion battery – that has been the subject of international research for the last decade. 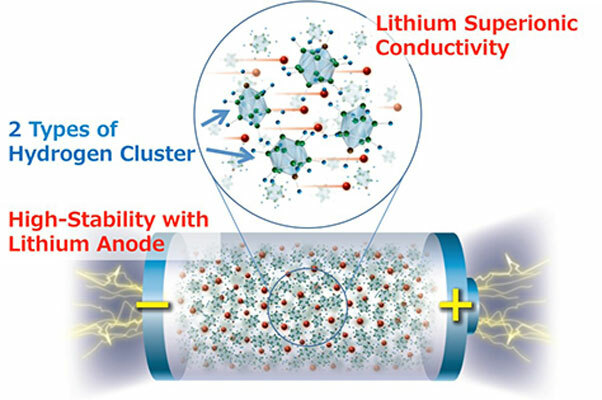 Tohoku’s press release states, “Scientists from Tohoku University and the High Energy Accelerator Research Organization have developed a new complex hydride lithium superionic conductor that could result in all-solid-state batteries with the highest energy density to date:” Led by Sangryun Kim from the Institute of Material Research (IMR) and Shin-ichi Orimo from the Advanced Institute for Materials Research (AIMR), the study looked for such conductors based on complex hydrides (anions of hydrogen). this is a difficult search, because the potential high energy density of these materials is balanced by the normal instability of the hydrides. The researchers’ paper, “A complex hydride lithium superionic conductor for high-energy-density all-solid-state lithium metal batteries,” was published in Nature Communications on March 6, 2019. The authors, Sangryun Kim, Hiroyuki Oguchi, Naoki Toyama, Toyoto Sato, Shigeyuki Takagi, Toshiya Otomo, Dorai Arunkumar, Naoaki Kuwata, Junichi Kawamura and Shin-ichi Orimo, were able to overcome the high ion transfer resistance found in using solid electrolytes with lithium metal anodes. The paper is filled with “howevers,” noting the many instances of positive outcomes countered by negative areas of resistance. The high energy density possible with superionic conductors was offset by the instability of the solid electrolyte against lithium metal. As the solid electrolyte reaches what we call “room temperatures” it tends to lose contact with the anode and reduce reactivity because the electrolyte is filled with vacancy-rich disordered cation sublattices . Researchers managed to tame this with a finer granularity in the material that enables full contact. Think of a 200-pound battery slimming down to 20 pounds for the same output. Range and endurance would be Tesla-like for electric and hybrid aircraft, and following the old rule to two pounds of structure for every pound of power plant for fossil-fuel aircraft, could lead to more efficient airframes. At the laboratory stage now, this would seem to be investment bait for venturesome venture capitalists.